Poweramp vs BlackPlayer – Which is Best Music Player? In the world of the internet, we all listen to songs using the internet via some apps such as Spotify, Google Play Music, YouTube Music, etc. But, there come a time when we need o have the best and advanced offline music player to listen to our favorite song that is on our phone. So, at that time we feel frustrated between choosing the best one to listen to the song on our phone. 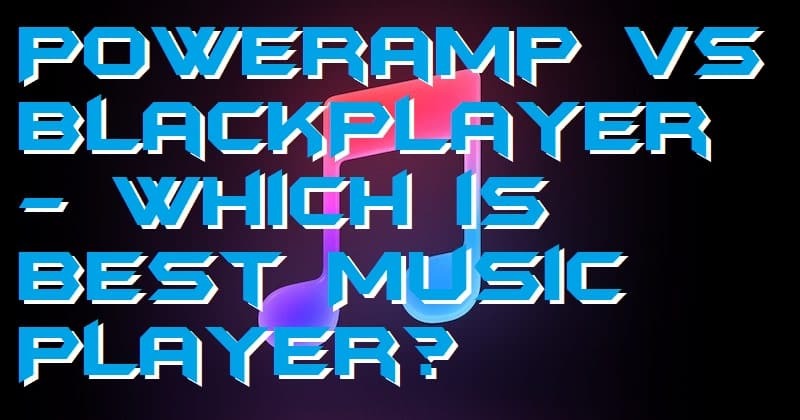 There are two most popular advanced music players are available which are Poweramp and BlackPlayer. But, which one is best for you whether it is Poweramp or it is BlackPlayer? If you are having confusion then don’t worry because everything is here for you. Moreover, I have already posted an article about the top 10 best free apps to listen to music without WiFi on Android and iPhone. This section of the article will help you in comparing the two music players that are Poweramp and BlackPlayer. I have compared both the music player in some major points such as designing, settings, playlist and more. I would like to tell you that this is just an analysis between both the music players that are Poweramp vs BlackPlayer. I am not saying that this one is great or this one is bad. Just read the entire section and choose anyone to listen to the songs with it. Poweramp and BlackPlayer both are having a rich looking user interface or UI design. There are four major tabs in Poweramp. The first tab contains options like playlists, genres, artists, and albums. Second is having the equalizer. The third one is for searching your desired song and the fourth is for the settings. Where the Poweramp is complicated in finding the difference between music and recorder audios or calls. But, talking about the BlackPlayer. It is having two different folders for music and recorded calls or audios. There is a hamburger icon which works as the menu of the BlackPlayer app that has options of library, playlist, equalizer, and settings. Poweramp and BlackPlayer both come with the dark mode enabled theme. However, the Poweramp does a great job by making the dark theme more rich looking and worthy. Equalizer is the heart of every music player. This is the best thing to compare two music player whether it is to compare Poweramp vs BlackPlayer or any other. The equalizer of Poweramp is very powerful, supports 10 band equalizer with amazing bass and treble. Not even that, there are 16 inbuilt equalizer presets ate available so that you don’t have to go manual for it. BlackPlayer equalizer is not much power as compare to Poweramp. It has 5 band equalizer with 11 presets. There are Amplifier and Reverb settings also available in BlackPlayer. Overall, Poweramp is much efficient than BlackPlayer. There are some settings that matter in the comparison of Poweramp vs BlackPlayer. We have to discuss some points on it. Poweramp and BlackPlayer both the music player support changing album art feature. Not every music player comes with the feature of changing the album art. Also, both the players having sleep options. Which means if you want to let the app sleep at a specific time then this feature is going to help you a lot. You can also change tracks by swiping left or right. But, the swiping feature will work in full mode when you are using BlackPlayer. On the other hand, Poweramp let you use swiping feature whether you are in full mode or not. Playlist, where we put our favorite songs to listen to them without playing those favorite songs individually. It is very important that we discuss some brief about the playlist difference in comparison of Poweramp vs BlackPlayer. No doubt that both the players support playlist feature. But, the procedure for creating a playlist is different. In Poweramp, long tap a song and enable multi-select mode. After that, select other songs and finally click on the Playlist option. But, in BlackPlayer you have to first select the multi-select option and then select the songs to create a playlist. So yes, the ease of creating a playlist is very easy in Poweramp. In the battle of Poweramp vs BlackPlayer, talking about pricing is very important to compare both the music players from the other scenario. Poweramp is available for a limited trial period, where the normal fee of it is $4.99 which will include ads-free service, equalizer, and more. On the other hand, BlackPlayer is totally free to do download an use but, there are ads which will feel irritating sometimes. However, there is an Ex version of the BlackPlayer which is of $0.99 and that is one-fourth of the price of Poweramp. Also, with the Ex version users will get more additional features such as Chromecast support, themes, fonts, customizations, and more. Poweramp and BlackPlayer both the music players are having great features and options in it. Not even that, both allows many functionalities which are not offered by a various music player that is available on the internet. Also, the pricing is very much cheaper as compare to other famous music players. As you have seen the comparison on both using some major points like the design, equalizer, settings, etc. I will finally say that BlackPlayer is cheaper than Poweramp in pricing and equalizer. But, if you want more than BlackPlayer then, of course, you should choose Poweramp. It has advanced features than BlackPlayer. This was the complete comparison of Poweramp vs BlackPlayer. Not even that, but I have also suggested my opinion at the end of the article which you use in finalizing the best one for you. There are more amazing music players available which you can look for. If you want to choose between Shazam and SoundHound to get your song by humming then read this article. 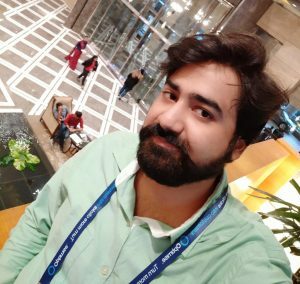 I hope this article has helped you a lot in choosing the best one for you. You can share this article with the person who loves to listen to music very much and need an advanced music player.